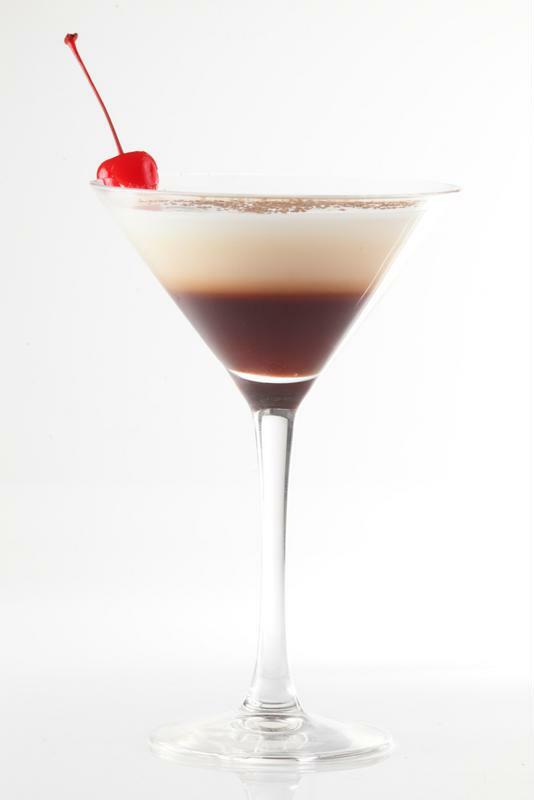 The basic White Russian is made with vodka, coffee liqueur and cream. With a pleasantly smooth consistency and touch of sweetness, it's a delicious drink to enjoy anytime, whether you're curled up by the fire or warming up after a winter hike. A curious fact about the White Russian is that it doesn't actually have anything to do with the country - it was simply given the name because it contains vodka. There are many ways you can spice up this cocktail to create tasty frozen versions of this classic White Russian. Here are seven winter-ready versions to make in your Margaritaville® Frozen Concoction Maker®. Tropical and Russia may seem like two words that just don't go together, but by adding some coconut milk you can create a frozen White Russian that calls to mind tropical locales. Add ice to the ice reservoir and all remaining ingredients to your Margaritaville® Frozen Concoction Maker® glass jar. Mix and pour into tumblers. There are many variations on the basic White Russian, like salted caramel, vanilla latte and even banana bread! Salted caramel is a favorite ingredient during the winter months in coffees, hot chocolate and desserts. It also works wonders in White Russians to create a decadent frozen treat. Add ice to the ice reservoir and all remaining ingredients to your Margaritaville® Frozen Concoction Maker® glass jar. Mix and pour into tumblers. Top with a drizzle of caramel sauce and a swirl of whipped cream before enjoying. This tasty frozen concoction takes the place of dessert with chocolate sauce and added flavor from swapping in almond milk for regular cream. Add ice to the ice reservoir and all remaining ingredients to your Margaritaville® Frozen Concoction Maker® glass jar. Mix and pour into tumblers. Top with chocolate shavings and enjoy. Put an Irish twist on the basic White Russian for tasty results. Just replace the vodka with whiskey. Sure, the traditional White Russian is made with coffee liqueur, but using tea and honey instead is a delicious twist. Banana bread in a cocktail? It can be done. Just use bananas and cinnamon for a wonderful winter concoction. Add ice to the ice reservoir and all remaining ingredients to your Margaritaville® Frozen Concoction Maker® glass jar. Mix and pour into tumblers. Top with caramel sauce and garnish with banana slices before enjoying. This recipe amps up the delicious coffee flavors of the White Russian by using freshly brewed coffee as well as coffee liqueur.